BANFF, ALBERTA, Canada – Ditch the ski resorts and head to the scenic slopes of the Canadian Rockies. 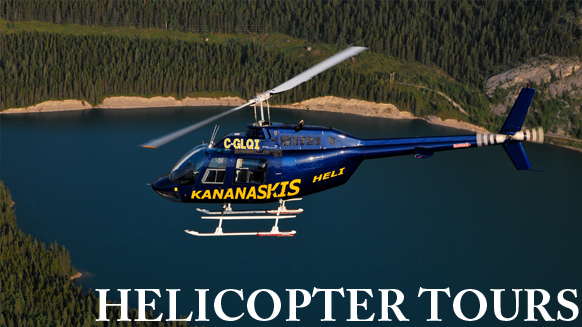 Choose between skiing the slopes of Mt Cline or Mt Wilson Icefield with our Heli Ski tour in Banff, Canada. You will be joined by a fully certified mountain guide, but be sure to check the weather — the trip depends upon good snow conditions. Champagne, frozen waterfalls, picnics in the snow — what could be more romantic? Every day can be Valentine’s Day with our romantic champagne picnic package in Banff, Canada. Start with a 20-minute private helicopter tour to your private picnic location where you’ll sip champagne and share a meal with your sweetie before enjoying a short snowshoe walk up to a frozen waterfall.